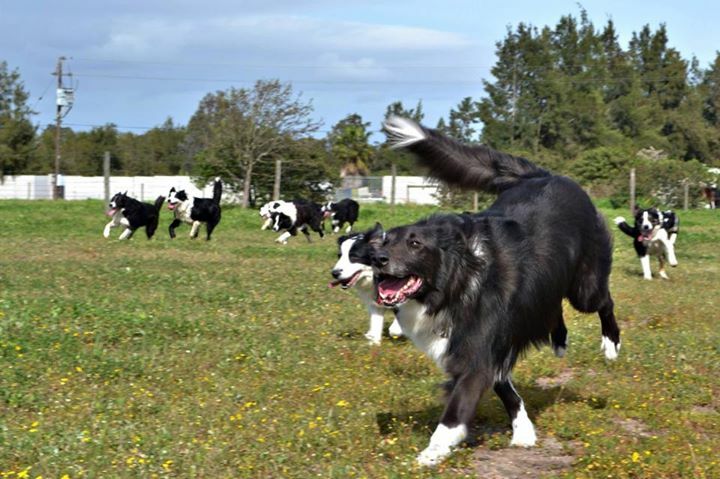 Border Collie Rescue, Cape Town was established in 1998 and now rescues, rehabilitates and rehomes many Border Collies in need. Why a breed specific shelter? The result of keeping a Border Collie in a kennel or very small confined space can already be seen after a couple of days. They run round and round the kennel, bouncing against the walls and gate, barking continuously. These Collies will be permanently damaged if their confinement is continued. They also stand little to no chance of being adopted showing this "crazy" behaviour. 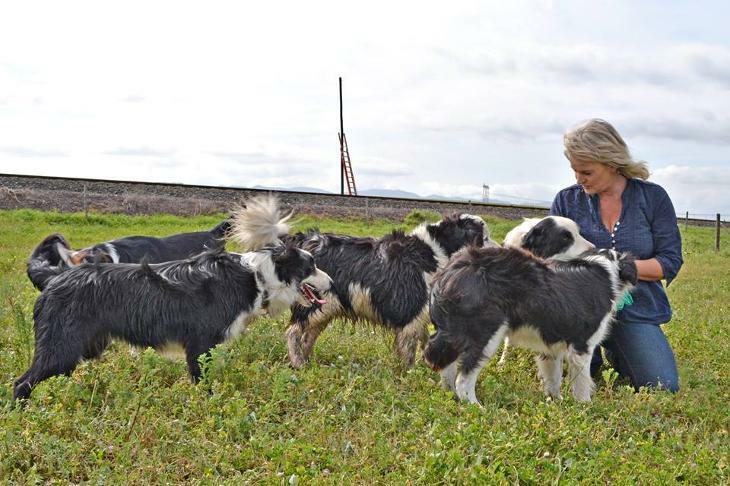 When this was originally brought to Karen's attention that there was a need for a shelter, where the Border Collies would not be kept in kennels, she created a safe haven specifically for this breed with the idea to keep them "free range". We also actively assist people with rehoming their Border Collies, when this becomes necessary. This ensures that the Collies go to new homes that were first vetted and that are breed-suitable. All Collies in our care are kept in large, open runs, separated into groups of dogs that are most suited to each other. They have space to run and play, but they also learn social skills and appropriate behaviour. Over the initial 3 weeks new arrivals to the shelter are assessed and the required rehabilitation program is put into place. Rehabilitation can take anything from 1 to 6 months depending on the level of previous abuse or neglect. In order to rehabilitate Border Collies, they need space to run and play and interact with other dogs (so obviously traditional rescue kennels are not suitable for Border Collies as they would be kept in a kennel). At the shelter we keep them in large runs and in groups – according to their specific needs and temperament. They also need to be around people, which does not refer to workers or the public, but a balanced family unit made up of humans, dogs and other pets, led by a calm, confident and assertive pack leader, not one that forces them to follow the rules of the pack, but one that displays the leadership qualities a dog willingly recognizes and follows. At this point we take pictures and write a description based on the specific needs of the particular dog in question, which will assist us when choosing the correct family. We endeavour to ensure the most suitable family is selected and thereby ensuring the family is able to meet the particular dog’s needs with regards to temperament, energy levels and any other special needs.